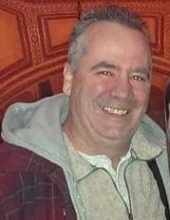 Louis Bolich, age 50 of Garden City, passed away March 23, 2019. Born in Towson, Maryland on February 3, 1969 to Louis George Bolich and the late Lynda Bolich. Survived by his longtime girlfriend and the mother of his children Christina Collett. Proud father of Tiffaney & Emma Bolich. Dear brother of Tina Johnson. A private family service will be held at a later date. Arrangements entrusted to the Schrader-Howell Funeral Home, Plymouth. "Email Address" would like to share the life celebration of Louis George Bolich. Click on the "link" to go to share a favorite memory or leave a condolence message for the family.